For more than 30 years, Dan McDonald has litigated hundreds of cases, including over 150 cases tried to jury verdict. Within the litigation field, Dan has had an extremely diverse practice. Prior to starting his own firm, Dan was a partner in the trial section of Kelly Hart and Hallman, a major firm with several Fortune 500 clients. During his years at Kelly Hart and Hallman, Dan practiced in a broad area of complex commercial and business cases, including construction, banking, antitrust and intellectual property. During these years, Dan also had a substantial personal injury defense practice including products liability and medical and hospital negligence. In 1991, Dan started his own law firm to engage in a contingent fee practice representing plaintiffs. Since then, Dan has focused primarily on cases involving pharmaceutical and medical device cases, legal malpractice, catastrophic injury and wrongful death, property tax litigation, and complex business disputes including our Chesapeake litigation. Dan has had the distinction of serving as regional steering counsel for the silicone gel breast implant litigation, fen-phen diet drug litigation and Baycol litigation. Dan received his bachelor’s degree from Baylor University in 1977 and his law degree from Southern Methodist University in 1980. Throughout his 30 year career, Dan has been an entrepreneur in the field of law, serving at the forefront of many cutting-edge legal battles. Dan established McDonald Law Firm in order to continue the tradition of providing outstanding service and results to clients. 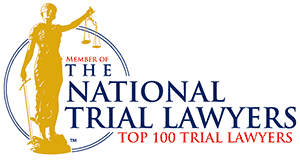 Dan has a Martindale-Hubbell “a.v.” rating, the highest rating awarded by the trusted lawyer rating directory. Since 2014, he has been selected as a Top Attorney by Fort Worth, Texas magazine. In 2016, Dan was named one of the ten Newsmakers of the Year by the Fort Worth Star-Telegram. Dan is admitted to practice in the State of Texas, the State of Oklahoma, the State of Mississippi and the State of Florida. Since 1989, Dan has been actively involved with the Boys and Girls Club of Greater Fort Worth, having served on both their Board of Directors and Board of Governors. Also, Dan and his wife Dottie started the McDonald Family Foundation, which provides four-year college scholarships annually to high school seniors who are members of the Boys and Girls Club of Greater Fort Worth. To date, the Foundation has provided more than 30 college scholarships to at-risk youth.